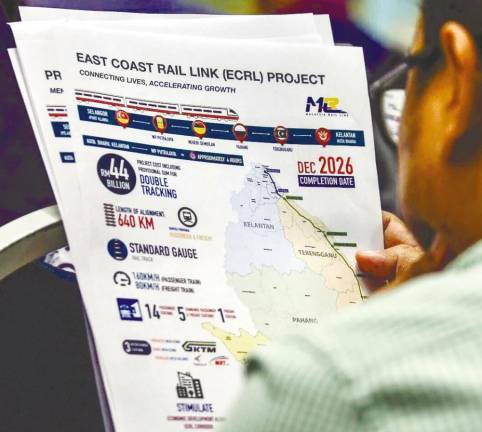 15 Apr 2019 / 20:12 H.
PETALING JAYA: The potential beneficiaries in the revival of the East Coast Rail Link (ECRL) project include companies with rail-related experience and specialist contractors, while the big winners could be the likes of Gamuda Bhd and IJM Corp Bhd, said PublicInvest Research. The research house said the beneficiaries could be the “usual suspects” with rail-related experience such as Gamuda, IJM Corp, WCT Holdings Bhd, Malaysian Resources Corp Bhd (MRCB), TRC Synergy Bhd, TSR Capital Bhd, Muhibbah Engineering (M) Bhd, Gadang Holdings Bhd, Gabungan AQRS Bhd, Sunway Construction Group Bhd, FajarBaru Builder Group Bhd, Mudajaya Group Bhd, Ahmad Zaki Resources Bhd, Ekovest Bhd and UEM Construction. Specialist contractors such as Advancecon Holdings Bhd for earthworks, Econpile Holdings Bhd for piling, EITA Resources Bhd for system, Kimlun Corporation Bhd as a supplier for precast components like segmental box girders as well as tunnel lining segment, HSS Engineers Bhd for technical studies, Lafarge Cement and Tasek Corporation Bhd could also be beneficiaries. “Amongst all, we think the big winners could be Gamuda given its expertise, and IJM Corp for its engineering construction capabilities and strong presence in the East Coast Economic Region corridor. 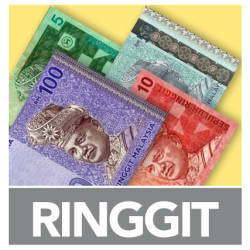 IJM also owns 60% stake in Kuantan Port including 700 acres of industrial land near the port,” it said. MIDF Research opined that Lafarge Malaysia Bhd and HSS Engineers Bhd could be the immediate beneficiaries as both companies have clinched sizeable jobs from China Communications Construction (ECRL) Sdn Bhd (CCC) previously. While the local construction sector may see brighter prospects with order book replenishment, the size of contract, number of packages and the real contribution to the companies’ bottom line are unknown at this juncture, said PublicInvest Research. About 40% of subcontractor jobs are expected to benefit local players, translating into RM17.6 billion worth of contracts that will be available to local construction players. “The ECRL project aside, we don’t see any other catalyst or major development that could re-rate our stance on the sector. 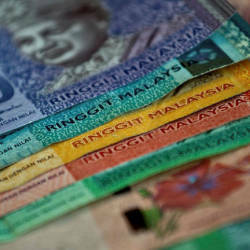 The 11th Malaysia Plan Mid-Term Review and Budget 2019 have thrown up guidance of lower growth going forward and reduction in development expenditure. With share prices of construction companies having already re-rated ahead of this somewhat-expected development, we believe much of the positives have already been priced-in,” said PublicInvest while maintaining its neutral rating on the sector. Meanwhile, HLIB Research opined that the potential beneficiaries of resumption of the ECRL project are Gamuda, IJM, HSS Engineers, Gabungan AQRS, Econpile and Advancecon. It added that the probability of revival of the Kuala Lumpur-Singapore High Speed Rail (HSR) project is lower than that of the ECRL given its larger cost (RM60-70 billion) and lower compensation amount (RM500 million). HLIB Research maintained its “neutral” call on the sector as it deemed year-to-date surge in construction counters has been reflected the positive sentiment. On Bursa Malaysia today, the construction index fell 1.14% to 203.32 points against the FBM KLCI’s 0.07% gain.